Miami is a dog-friendly city, paws down. There’s so much to do with your dogs, in fact, that it can get overwhelming. We’re happy to help you focus on some quality ideas for how to keep your dog active and fit in our beautiful Magic City. Check them out and let us know which activity you decide to enjoy with your pups this weekend! Color us biased, but our favorite way to get moving while meeting new pups is at our Pack Walks! At Equipaws, we host Pack Walks in partnership with Applause Your Paws, Miami’s top positive reinforcement dog trainers, in the cooler months. All pups and parents meet in front of Town Kitchen & Bar in South Miami around 9 AM and take a nice 45-60 minute walk. There’s a good group of dog owners who walk together and work on their leash skills and socializing their pets. And if you’re feeling extra social, stay afterwards for a delicious and relaxing brunch at Town in their outside seating with the pups! We also take the pack walk to Mary Brickell Village every second Sunday of the month. We meet in front of DIRT for coffee and take an hour to explore the neighborhoods, rain or shine. When: The first and second Sunday of every month, from November to March! Meet in front of Town Kitchen & Bar, then walk around beautiful South Miami! Meet in front of DIRT, then walk around beautiful Brickell! 2. Dog Agility Courses and Doga! Did you know Miami has some of the most exciting activities for dogs? We’re talking agility classes, dance classes, and more! Applause Your Paws offers a popular Introduction to Agility Course and then offers a level two agility course for those pups who want more. Agility is a dog sport where you help your dog maneuver through, over, or around obstacles and it’s loads of fun. This is perfect for your active pup who loves to play and run. This is a great way for you and your pooch to get good exercise and strengthen your bond. 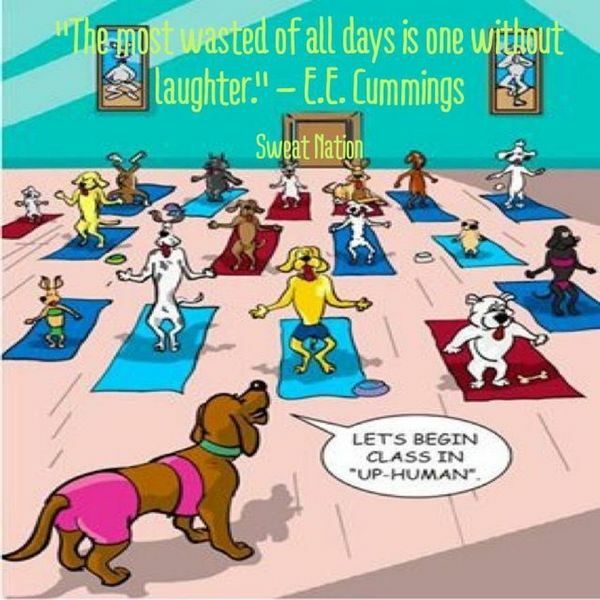 Doga: Dogs + Yoga = Doga! It sounds, and is, incredibly fun and rewarding to share in this activity with your pups. Take your dogs for a monthly yoga session, held every first Saturday of the month at different parks in Miami. In December, Doga will be held on the second Saturday of the month (December 12th), and is now at 8am to accommodate some scheduling requests. Each class starts out with thirty minutes of yoga , then a thirty minute run with your dog, and then finishes off with Doga poses. Doga definitely brings you and your pups closer together. Check out their Meetup page and let us know if you go! Miami is blessed – we’re surrounded by plenty of dog friendly parks where there are dog-friendly events set up, such as Downward with Your Dog at Margaret Pace Park.. There’s so much to do that we divided dog-friendly destinations into two location-based categories:beaches and restaurants. Bark Beach at North Shore: This dog-friendly beach has been voted the #1 Dog Park Metro Miami. It’s one of six of the designated Bark Parks provided by the city of Miami Beach parks and recreation. Your pups can run off leash here, play in the water fountains, or hang with you while you sit on a bench and take in the beautiful weather. You can take your dogs to neighboring dog-friendly restaurants such as Burgers and Shakes on Collins & 74th. Cost: $5 Resident/ $25 Non-Resident/ Annual Pass $20 (for residents only) CASH PAYMENT ONLY! Miami Dog Parks: Head over to our blog post on our favorite Miami Dog parks for a good list of fun places to take your dog for play and exercise! You can’t walk through Coconut Grove without passing by a dog-friendly restaurant. We recommend the Lokal and The Spillover for Coconut Grove. They have dog-friendly menus (Yeyo’s fried chicken, then a good bone to chew). They regularly host Yappy Hour events like the annual Halloween Costume Contest at The Spillover on October 31st, so walk your pups down to socialize in a friendly environment. If Coral Gables is more your territory, pass by Books & Books for their balmy outdoor seating or head inside to have a bite or browse their selection of books.The Village of Merrick Park is very pet friendly, and several restaurants such as Sawa and Cafe Ibiza allow outdoor seating for dogs. We’re partial to Lincoln’s Beard Brewery out by Tropical Park. You can hop over to the brewery after a nice class at Applause Your Paws. If it’s the second Friday of the month, you can enjoy Bark and Brew Bark and Brew, hosted by the dog trainers at Applause Your Paws. 6 p.m. Friday at Lincoln’s Beard Brewing Company, 7360 SW 41st St., Miami; 305-912-7390; lincolnsbeardbrewing.com. Admission is free.